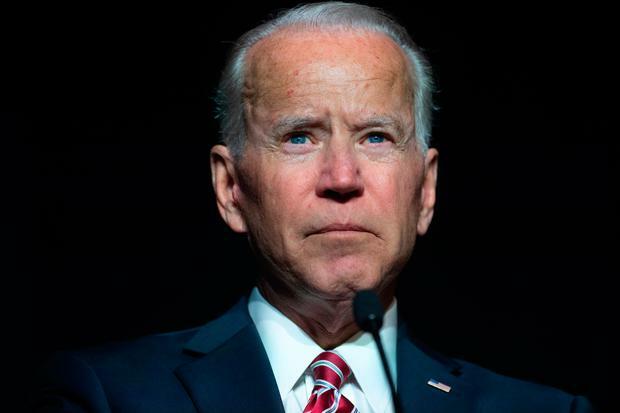 Joe Biden has established a sizeable lead in polls of Democratic presidential contenders, despite allegations of unwanted physical contact with women. The former US vice president had the support of 32pc of voters, according to a ‘Morning Consult’ survey. He was nine points ahead of Bernie Sanders, who had 23pc of support. It was the first national poll conducted since several women came forward to accuse the 76-year old Democrat politician of unwanted touching. Mr Biden pledged in a video to be “more mindful” of respecting “personal space”. Mr Biden has said he has “95pc” decided to run for the White House for a third time. He is likely to face questions about his age – at 76 he would be the second oldest candidate after Mr Sanders – and his Senate record, which has been criticised for his authorship of the 1994 Crime Act that led to increased incarceration rates. At least four women have come forward to accuse him of uninvited physical contact, including Lucy Flores, a Democrat who served in the Nevada State Assembly, former congressional aide Amy Lappos, Caitlyn Caruso and DJ Hill. The women claimed he touched them or hugged them in a manner which made them feel uncomfortable. Meanwhile, US attorney general William Barr yesterday told politicians they could expect a redacted copy of Special Counsel Robert Mueller’s report “within a week”. Mr Barr was speaking about the report – which looks into possible links between the Russian government and Donald Trump’s 2016 campaign – during a tense hearing on Capitol Hill. He then refused to answer whether the White House had been briefed on any aspect of the special counsel’s report. “I’m not going to say anything more about it until the report is out,” he added.